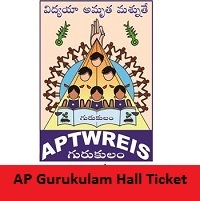 AP Gurukulam Hall Ticket 2019 Is Released On 22nd March 2019 by the officials of the Andhra Pradesh Tribal Welfare Residential Educational Instructions Society (APTWREIS) Gurukulam will release the AP Gurukulam Hall Ticket 2019 for the upcoming District Co-Ordinator (DCO), Trained Graduate Teacher (TGT), Principals, Caretaker (Warden) test on their official site @ welfarerecruitments.apcfss.in. Furthermore, the scheduled date for the AP Gurukulam Test 2019 from 28th March 2019 To 1st April 2019. By clicking on the given link, you can get your valid AP Gurukulam Admit Card 2019. Candidates who had applied for the AP Gurukulam Notification 2019 and waiting for the AP Gurukulam Hall Ticket 2019 can get the complete information from this article. The higher officials of Andhra Pradesh Tribal Welfare Residential Educational Instructions Society (APTWREIS) Gurukulam had mentioned that the examination. So, candidates must and should attend as per the schedule given. Aspirants can get their AP Gurukulam Admit Card 2019 only from the official site. Candidates who are attending to the APTWREIS Examination must know an important thing that they have to carry their Hall Ticket while going to the examination. If not, the organization members will not be allowed to write the test. Along with the welfarerecruitments.apcfss.in Admit Card, candidates must carry any government id proof for the security reasons. In this section, we had given the list of the documents that can be carried. Aspirants can carry any one of these documents along with them. 2 or 3 latest photographs. While appearing to the Andhra Pradesh Gurukulam TGT, PGT, PET Examination candidates must carry their AP Gurukulam Admit Card 2019 along with them. If in the case, aspirants did not carry Hall Ticket along with them the higher officials of Andhra Pradesh Tribal Welfare Residential Educational Instructions Society (APTWREIS) Gurukulam will not allow them to attend the examination. Candidates can go through these below provided steps to download the AP Gurukulam TGT Hall Ticket 2019 easily. Firstly, applied competitors must visit the official site of the Andhra Pradesh Tribal Welfare Residential Educational Instructions Society (APTWREIS) Gurukulam. The official site is welfarerecruitments.apcfss.in. You will get the home page of the APTWREIS on the screen. Then move to the “News & Events” section which is at the left side of the home page. In that section check for the AP Gurukulam Hall Ticket link. Immediately after identifying the link open it. Fill the required details and cross-check them. You will get the AP Gurukulam Admit Card 2019 on the new page. Download the Andhra Pradesh Gurukulam Hall Ticket 2019 in the given format. Take two or more copies of that Hall Ticket and carry them along with you for further process. Make sure that you check this page frequently in order to get the latest details and updates regarding the AP Gurukulam Hall Ticket 2019. Stay tuned to our website Freshers Now for more other details. If any queries contact us by using below provided box.